the modern age. Here, art historian Jeremy Howard challenges traditional definitions of what constitutes "European" art and embraces the whole spectrum of art creation, including painting, sculpture, architecture, the applied arts, photography, and performance. Avoiding conventional art historical divisions, Howard focuses on the many hidden relationships between the different art forms and artistic cultures that flourished in the vast region known as Eastern Europe, and how these cultures inter-related with the wider world. In addition to the rise and fall of the two great art academies in Vienna and St. Petersburg, Howard examines the blending of migratory and sedentary cultures in the region, the role of women, and the political manipulation of the image. He brings to the fore many overlooked artists and concentrates on neglected elements of work by better-known figures. Throughout, he reveals how the Habsburg, Romanov, and Ottoman empires vied with one another through art and how individuals and nations strove to maintain and realize their voice through visual language. 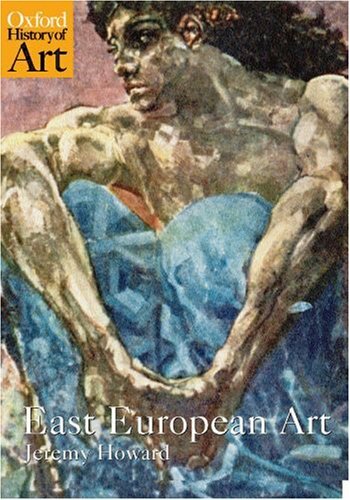 Bringing light to a woefully neglected subject, Howard has produced a work that will prove essential reading for lovers of art history and Eastern European culture.